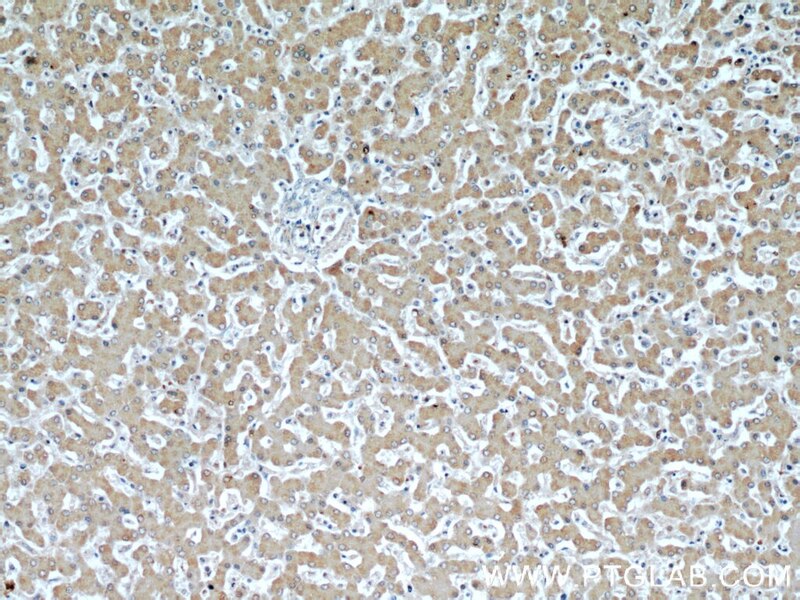 IP Result of anti-PPP1CC (IP:55150-1-AP, 4ug; Detection:55150-1-AP 1:500) with mouse brain tissue lysate 3440ug. 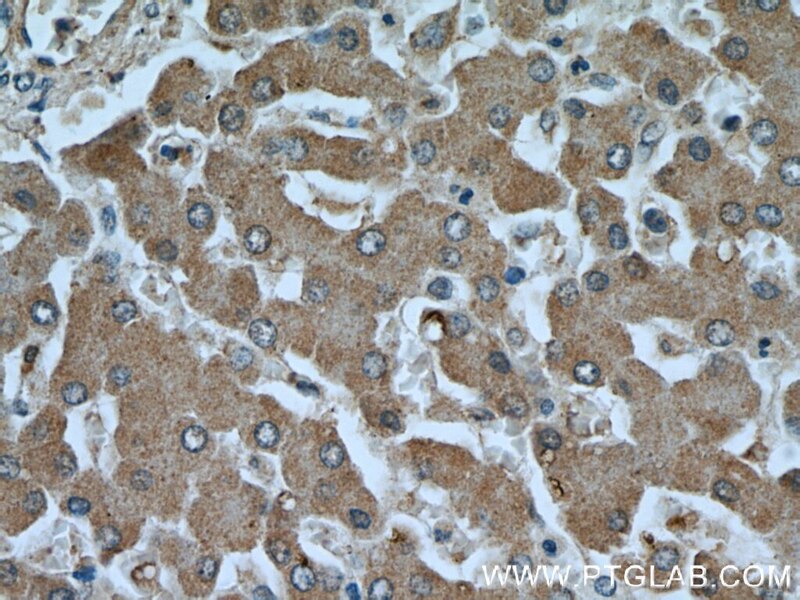 PPP1CC, also named as PP-1G, belongs to the PPP phosphatase family and PP-1 subfamily. 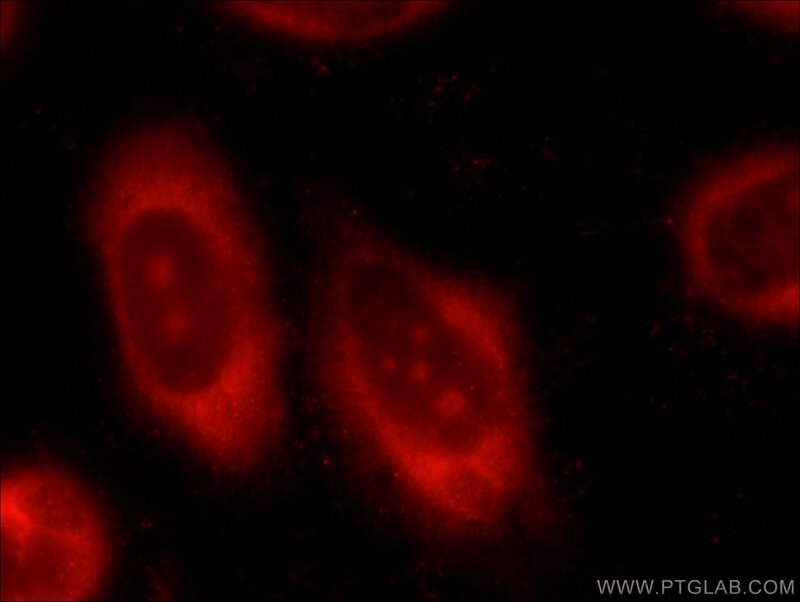 Protein phosphatase 1 (PP1) is essential for cell division, and participates in the regulation of glycogen metabolism, muscle contractility and protein synthesis. 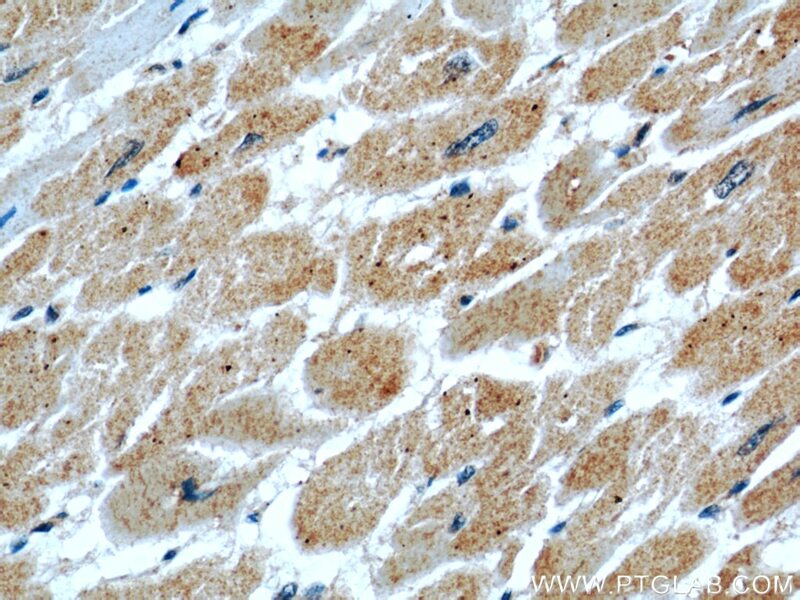 It is involved in regulation of ionic conductances and long-term synaptic plasticity. 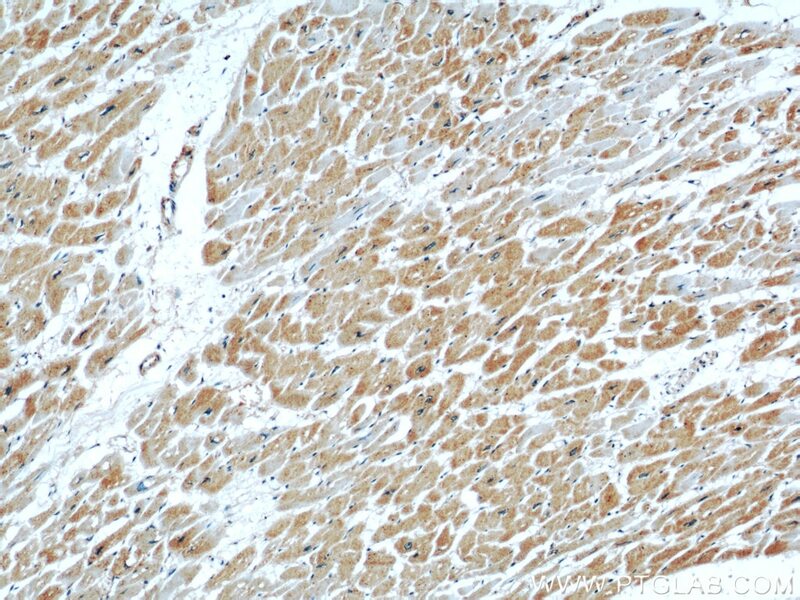 PPP1CC may play an important role in dephosphorylating substrates such as the postsynaptic density-associated Ca2+/calmodulin dependent protein kinase II. 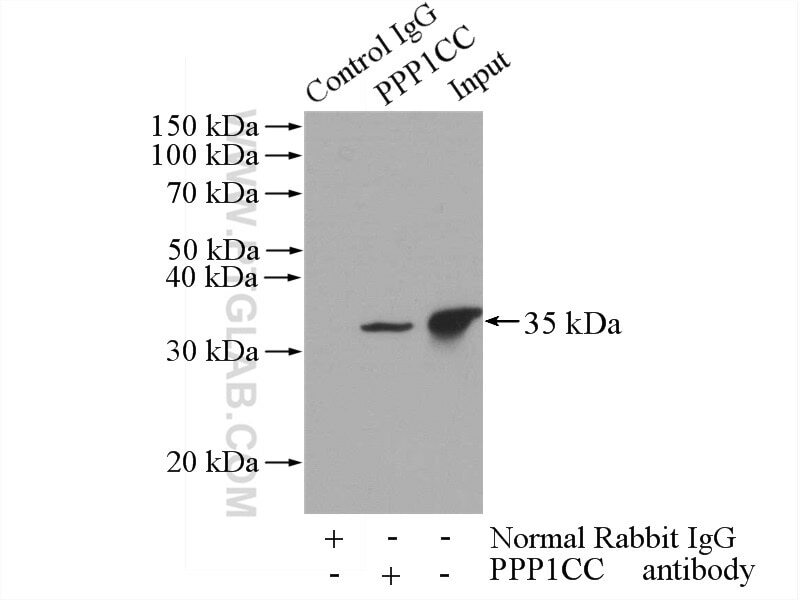 The antibody is specific to PPP1CC. Hydrogen sulfide modulates eukaryotic translation initiation factor 2α (eIF2α) phosphorylation status in the integrated stress response pathway.